Keep cool this summer with these light and easy frozen treats. When it comes to summer desserts, nothing beats an icy cold treat straight from the freezer. From ice cream and sorbet, to popsicles and granita, there’s nothing like a hot summer day, to make you crave something frozen. 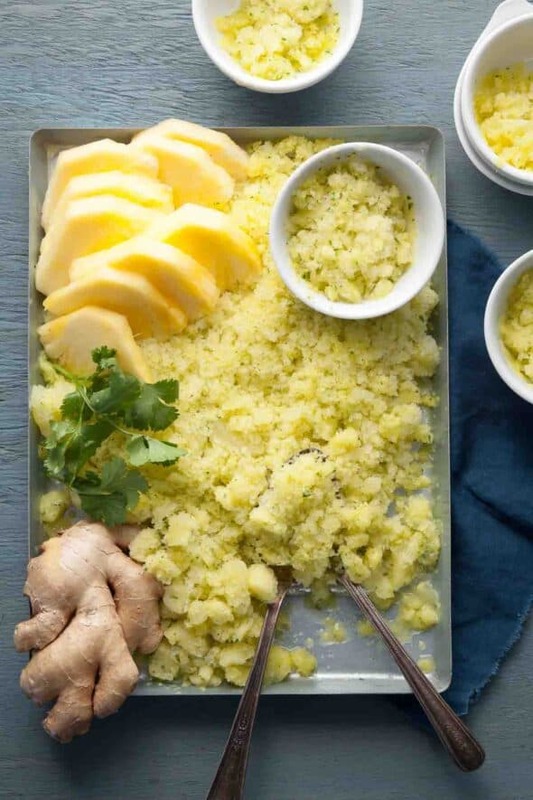 So while we’re all out and about enjoying those beautiful, long sunny days of summer, I thought I’d put together a few ideas for what to eat to beat the sweltering heat. 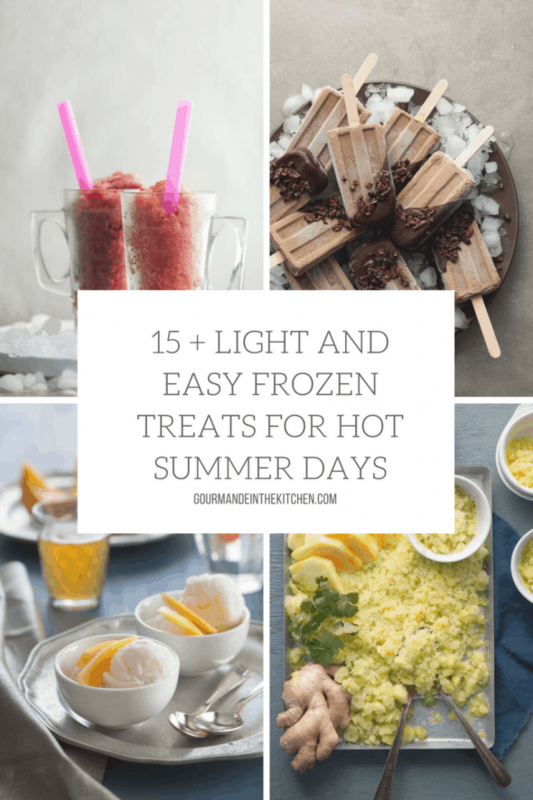 Below you’ll find 15 + of my favorite light and easy frozen treats you’ll want to make room in your freezer for. These refreshingly frosty desserts will cool you off without heating up your kitchen or weighing you down. 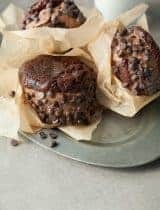 Filled with real whole food ingredients and just a touch of wholesome sweeteners, these frozen desserts are all gluten and grain-free and most are paleo and vegan friendly as well so there’s something to suit everyone’s dietary needs. 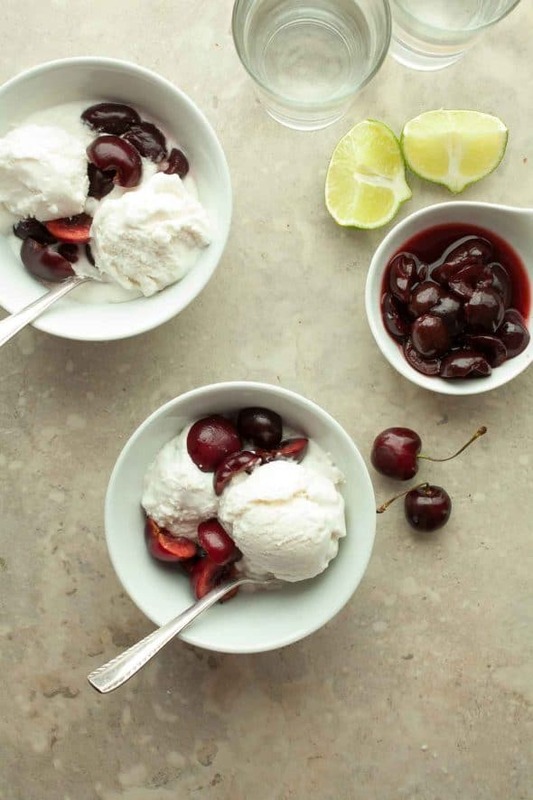 Whether you’re lounging by the pool, grilling with friends, or just back from the beach, you’ll be happy to dig into one of these chilly treats. Chocolate Dipped Fudge Popsicles (Raw, Paleo, Vegan) // These no-cook chocolate dipped fudge popsicles are a healthy twist on the classic summertime frozen treat. White Peach Coconut Water Popsicles (Raw, Paleo, Vegan) // A fresh, fruit filled popsicle that’s 100% natural and super hydrating. Cherry Lime Probiotic Popsicles (Raw, Paleo) // Tangy and sweet these cherry lime popsicles are a healthy and gut friendly warm weather treat. 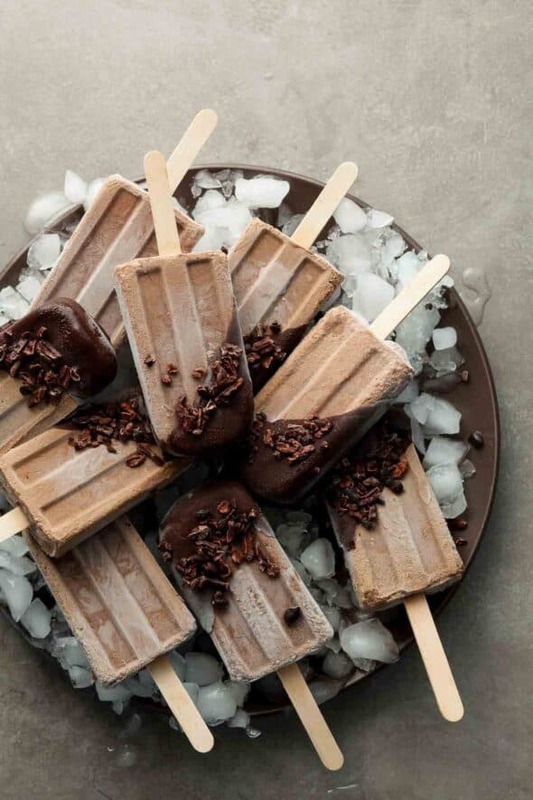 Chocolate Dip Ice Pops (Paleo, Vegan) // Dairy-free vanilla ice cream pops are coated with a lightly-sweetened chocolate shell. 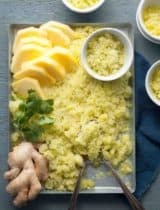 Pineapple Ginger Cilantro Granita (Paleo, Vegan) // This pineapple ginger and cilantro granita makes for a light and refreshing warm weather dessert. 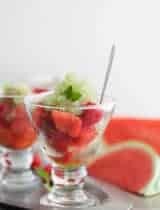 Fresh Mint Granita with Watermelon and Raspberries (Raw, Paleo) // A scoop of cooling, fresh mint granita takes the sweet/tart flavors of watermelon and raspberries to new heights. 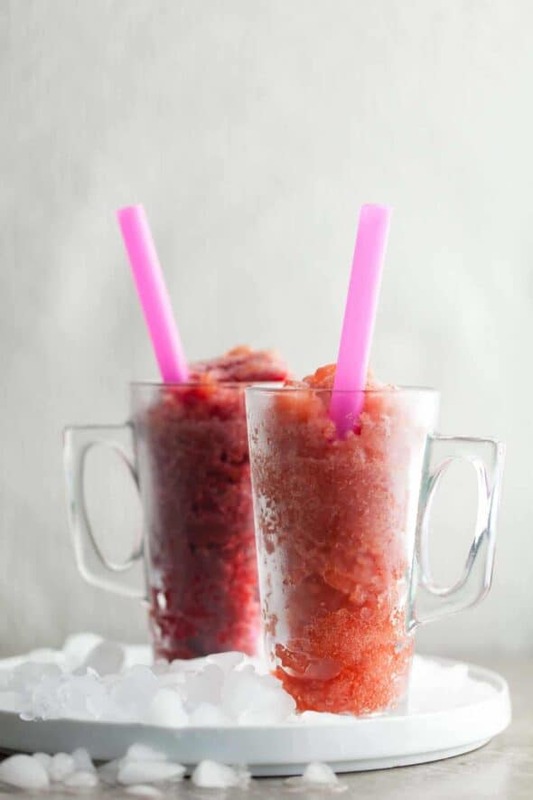 Strawberry Rosé Wine Granita (Paleo)// A frosty and bright strawberry granita with a hint of honey and crisp rosé wine. 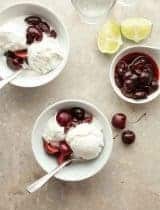 Triple Coconut Sorbet with Kirsch Soaked Cherries (Paleo, Vegan) // With three layers of coconut from coconut milk, shredded coconut and coconut water this triple coconut sorbet is packed with flavor. 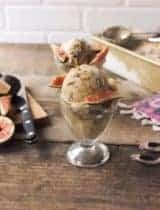 Raspberry Lychee Sorbet Floats (Paleo, Vegan) // A dessert that doubles as a cocktail with a scoop of raspberry lychee sorbet served as a float with champagne. 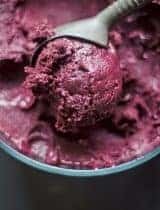 Concord Grape Sorbet with Rosemary and Black Pepper (Paleo) // Rosemary elevates the flavor of the grapes, while black pepper enhances their spiciness, in this sweet and simple sorbet. 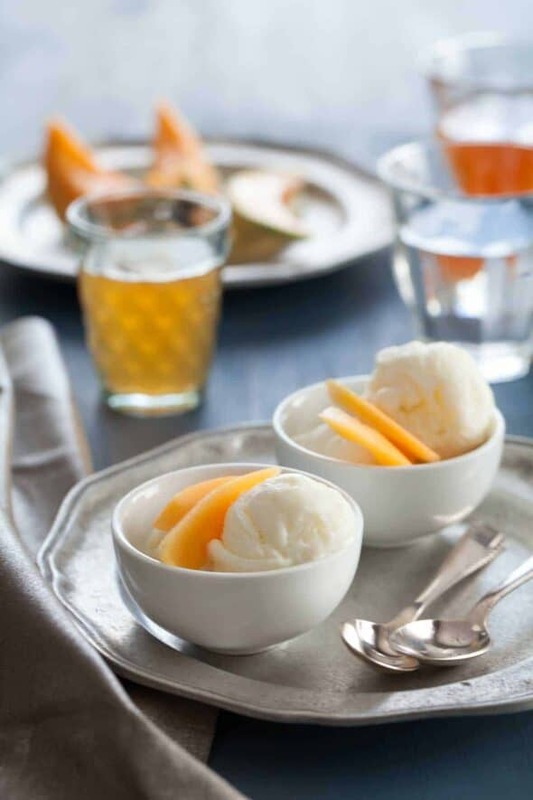 Goat Milk Frozen Yogurt with White Tea Infused Cantaloupe // A refreshing goat milk frozen yogurt is served with white tea infused cantaloupe. 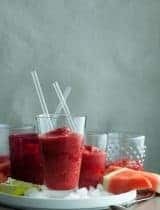 Frozen Lemon Kefir with Blackberry Coulis // With its distinctive zippy tang and multitude of beneficial active cultures, this lemony frozen kefir with blackberry coulis is a fresh take on frozen yogurt. 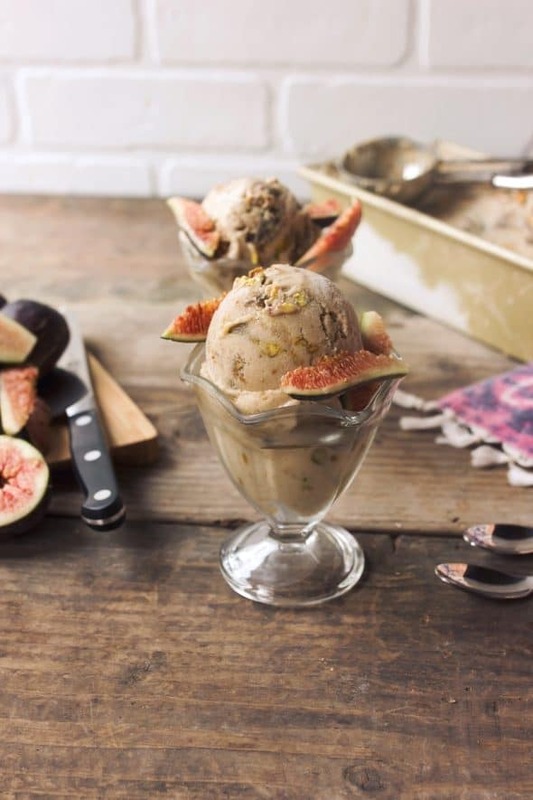 Caramelized Fig Ice Cream (Paleo, Vegan) // A dreamy paleo and vegan caramelized fig ice cream to beat the heat. 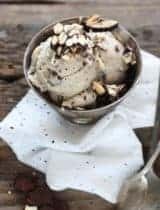 Swiss Almond Ice Cream (Paleo, Vegan) // Simple but so satisfying, the contrast of sweet and salty, smooth and crunchy is what makes this dairy-free ice cream so appealing. Kombucha Juice Slushy (Paleo) // Keep happy and hydrated with a simple homemade slushy made with cold-pressed juice and fermented tea. Iced Matcha Mint Pistachio Frappe (Paleo) // A refreshing and energizing blended iced latte made with pistachios, mint and matcha. Pomegranate Blueberry Matcha Tea Slushy (Paleo, Vegan) // A refreshing slushy made with pomegranate, blueberries and matcha tea that boasts a plethora of antioxidants. Honey Yogurt Semifreddo // This semifreddo is an easy and elegant summer dessert made from yogurt, honey and raspberries and topped with chopped pistachios.